I have the best way of cooking beer bratwurst ever. I discovered it about ten years ago while cooking by candlelight after Hurricane Wilma. We had gas and could therefore cook, but no electricity. Brown beer bratwurst in olive oil over medium heat until browned on all sides. Pour in beer to about an inch in the skillet. Cover and simmer until internal temperature is 165 F or more. You can keep this warm on low for hours, or in a crock pot. I had leftover broccoli quinoa salad that wasn’t getting eaten. 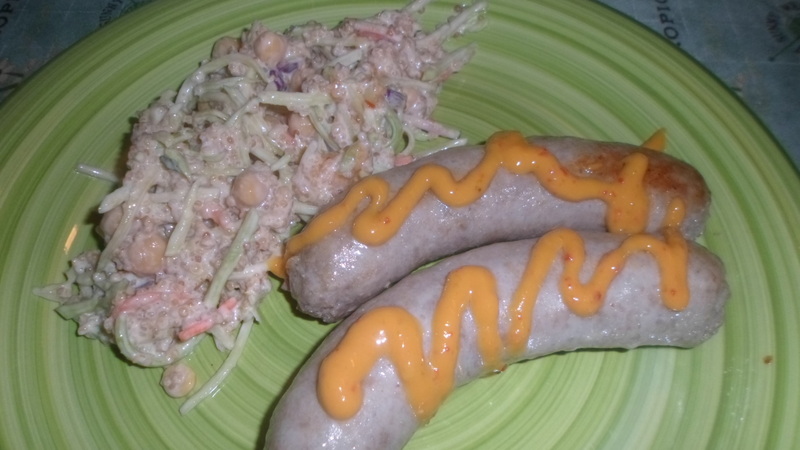 I freshened it up with some garbanzo beans, some leftover cabbage coleslaw and sweet thai chili sauce. The second go round was really yummy. Much better than the first version. Mix broccoli slaw, quinoa and coleslaw dressing. Refrigerate for at least 30 minutes before serving. 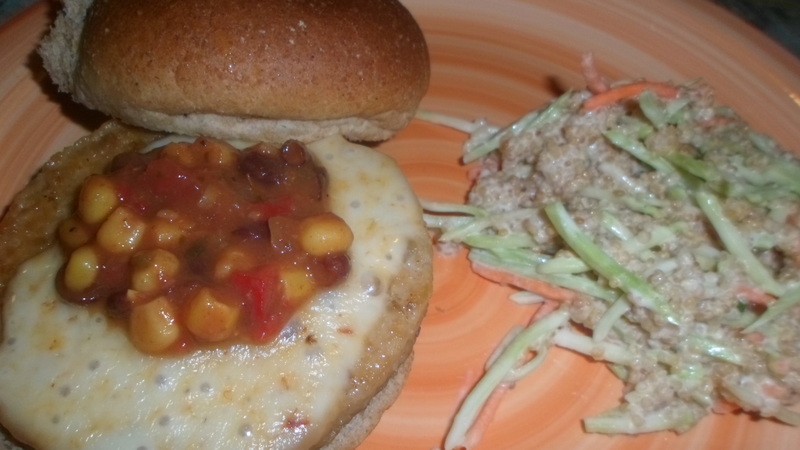 I served this with veggie burgers with Kraft Hot Habinero cheese on a whole wheat bun for Meatless Monday!